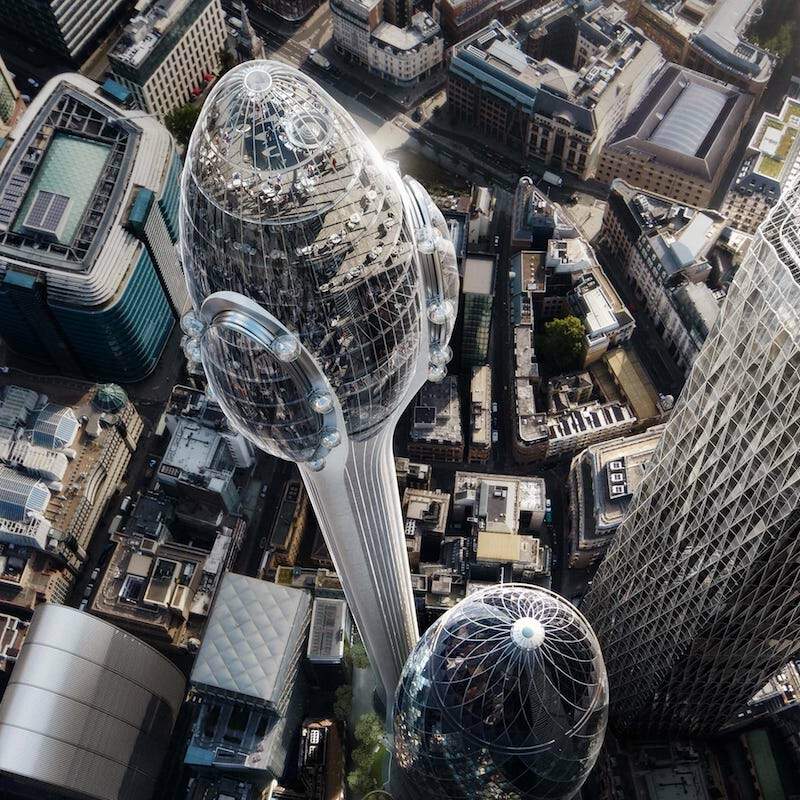 Designed by Foster + Partners, the Tulip will rise 1,001 feet and be a new cultural and tourist attraction. 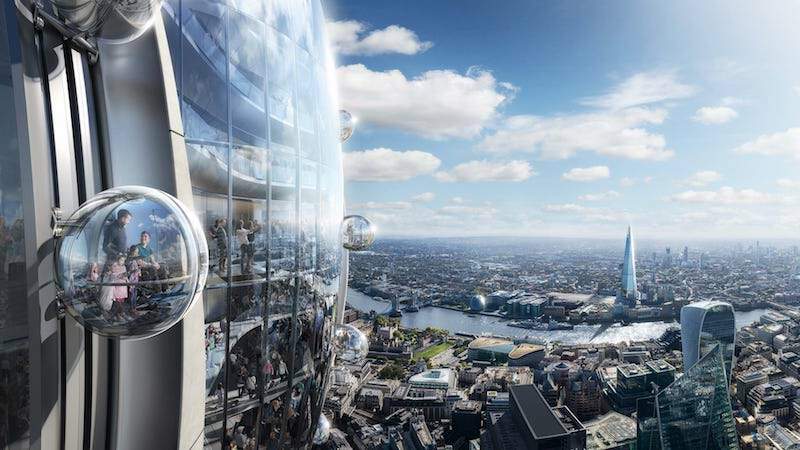 Designed by Foster + Partners (designers of the Gherkin), the Tulip will rise 1,001 feet in the air and be a new cultural and tourist attraction meant to build public engagement within the City and enhance The Gherkin’s public offering. 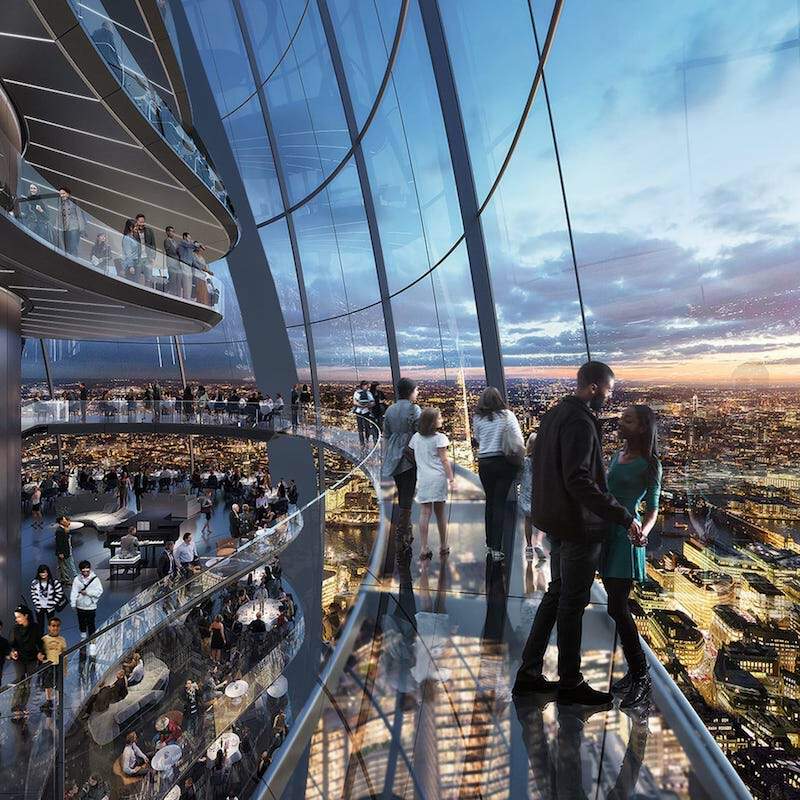 Viewing galleries at the top of the Tulip will include sky bridges, internal glass slides, and gondola pod rides (think the gyrospheres from the Jurassic World movies) on the building’s façade. Interactive materials and expert guides will enhance the experience for visitors and provide information about the history of London. 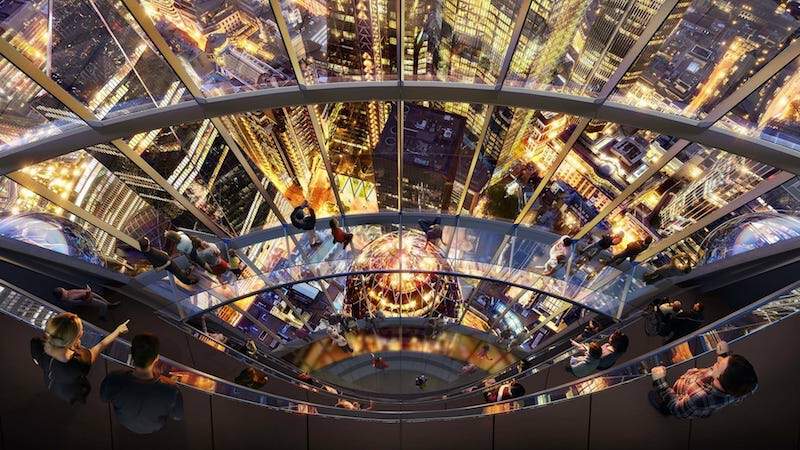 See Also: SOM-designed 100 Leadenhall Street will be one of the tallest buildings in the U.K.
A sky bar and restaurants with 360-degree views will give visitors a place to eat and drink high above the city. Another key feature at the top of the Tulip will be an education facility that offers 20,000 free places per year for London’s state school children. At the ground level, there will be a pocket park alongside a two-story pavilion with a publicly accessible rooftop garden. Half of the perimeter walls around the already completed Gherkin will be removed to improve public access to the revamped site. Construction is expected to begin in 2020 with completion in 2025.